They might indeed be geniuses. What other band has, in the last quarter century, produced such consistently great music? Music for films, TV, adults, children, and mammals of any description? I ask you: Who? Commemorating new music by They Might Be Giants (who, dear reader, are this blogger’s favorite band), here are nine TMBG songs everyone should know — complete with videos. 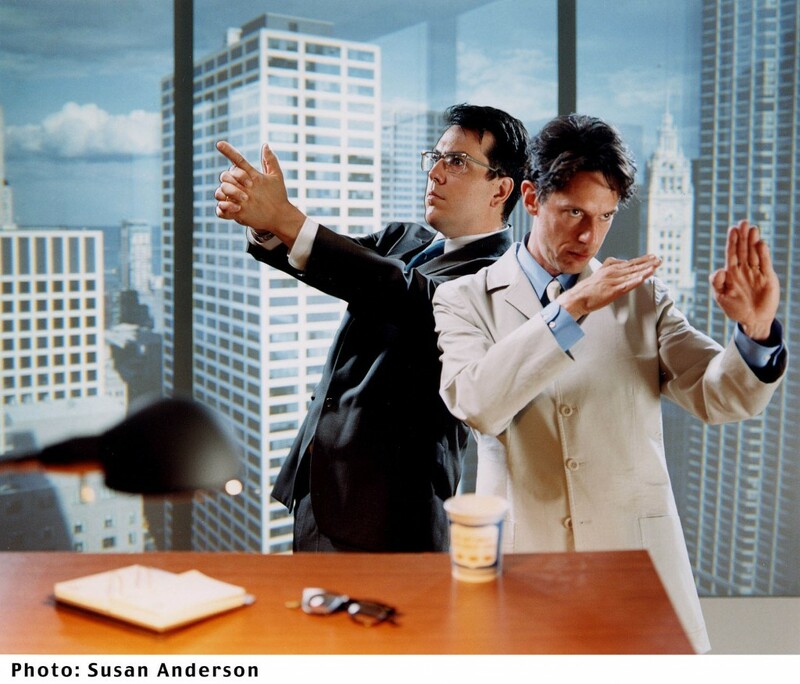 Happy They Might Be Giants Awareness Day, everyone! On TMBG’s second album — with cover art by Brian Dewan — John Linnell sings about a beloved whose “voice is a backwards record,” and who lives on the other side of the world. This is a live recording from 2009. John Flansburgh sings a song about “Belgium’s famous painter. / Dig him up and shake his hand. / Understand the man.” Yeah. One of three studio tracks from a live album, this was a pop hit in Australia. In my private universe of interesting music, it was also a pop hit. It is a song about a character who, as he says, is “not a real doctor, but I am a real worm. I am an actual worm.” And a worm who plays the drums, too. Above, TMBG perform the song on Mr. Jay Leno’s late-night television program. Above, TMBG perform the song on Robert Krulwich’s excellent (but short-lived) television program, Brave New World. There are many excellent songs on Mink Car (2001), among them “Another First Kiss,” “Working Undercover for the Man,” and a cover of Georgie Fame’s “Yeh Yeh.” But I’m not finding suitable videos on YouTube. Likewise, No (2002) is a great record, and the band’s first children’s record. In addition to the title track, there’s “John Lee Supertaster,” “Violin,” and “Where Do They Make Balloons?”… but the YouTube videos aren’t helping us here. Above, Laika Studio (creators of Coraline) offer a light-hearted animation for a song exploring one of TMBG’s recurring themes (paranoia). TMBG wrote songs for Coraline, but only the “Other Father Song” made it into the film. “Be Careful What You Pack” (originally intended for Coraline) can be found on The Else. I love the idea of Mesopotamians on tour, squabbling in the back of their Econoline van. And, yes, the above song is why I’ve chosen only nine TMBG videos. Enjoy!